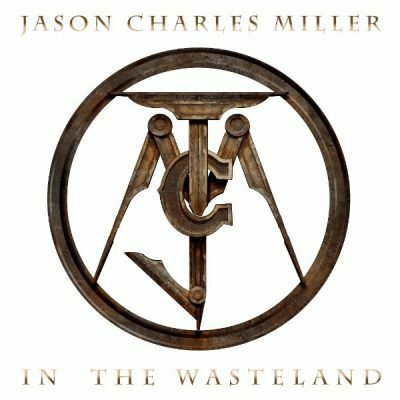 Southern Rock renegade JASON CHARLES MILLER is proud to announce the release of his new solo album, “In The Wasteland”, out today via RED MUSIC / SONY. Lauded as “a dark and gritty yet modern country album” that is a “memorable and sonic journey” (Rock and Roll Fables), “In The Wasteland” draws from MILLER‘s extensive career in the worlds of rock, country and Americana to present an all-encompassing outlook on his musicianship and life. Mixed and produced by Grammy Award-winner Matt Hyde (Jonny Lang, No Doubt, Deftones) and featuring drummer Kenny Aronoff (John Mellenamp, John Fogerty), “In The Wasteland” also includes guest performances from the likes of Lynyrd Skynyrd guitarist Rickey Medlocke and keyboardist Peter Keys, legendary Soul vocalist Brenda Lee Eager (Stevie Wonder, Ray Charles and Diana Ross), Blackberry Smoke vocalist Charlie Starr, King’s X frontman Dug Pinnick, guitarist Duane Betts(son of founding Allman Brothers guitarist Dickey Betts), guitarist Adam Shoenfeld (Tim McGraw, Jason Aldean) and ‘Cowboy’ Eddie Long (Jamey Johnson). Get “In The Wasteland” today on CD or digital download! Watch the official music video for the album’s title track, featuring live footage from MILLER‘s headlining performance at Wasteland Weekend, below! Find the most current Jason Charles Miller tour dates from our partners at Country Music On Tour, your trusted country concert ticket source! Country Music News Blog participates in advertising programs that help fund the operation of this site. For more information please visit our privacy statement. This entry was posted in Jason Charles Miller, New Music, Press Releases by Shauna "WhiskeyChick" Castorena. Bookmark the permalink.